Spring is here and the weather is getting warmer. Time for some fun bike riding. Girls, here’s a great hint if you have a bike which needs work. Men love biscuits. It makes them feel all old timey, like cowboys on the range. 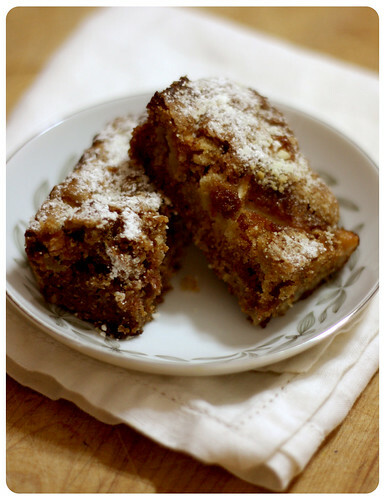 Put on a cute skirt and make a plate of biscuits and wheel that rusty hunk to the shop. Flash some smiles, whip out the biscuits and get some discounts! 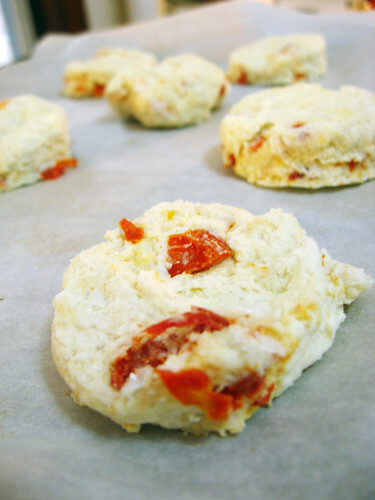 Here’s a cut above your average biscuit to help seal the deal. 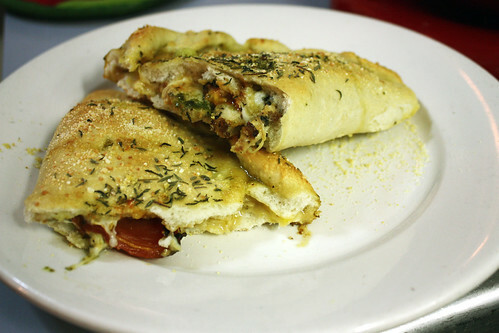 Mix dry ingredients and Parmesan cheese. 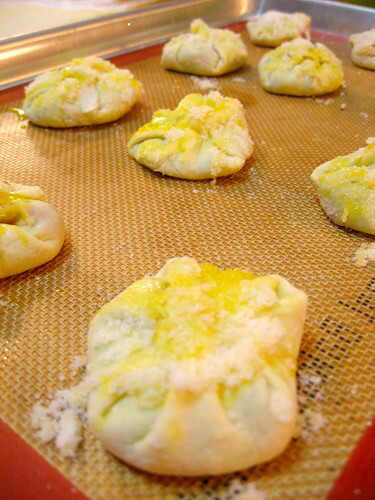 Using a fork or pastry cutter, mix butter into the dry ingredients until chunky. 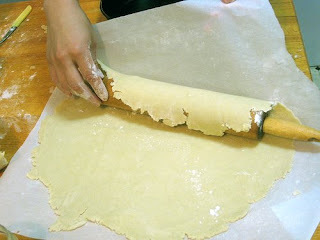 Add milk and mix until dry ingredients stick together to form a rough dough. Don’t over work it. 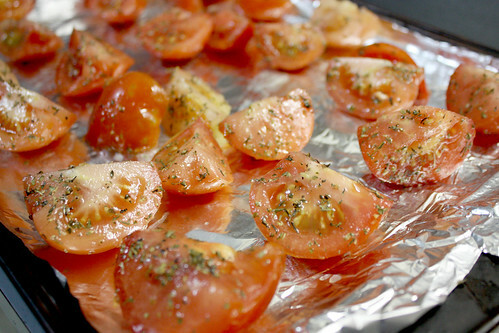 Add tomatoes and mix. 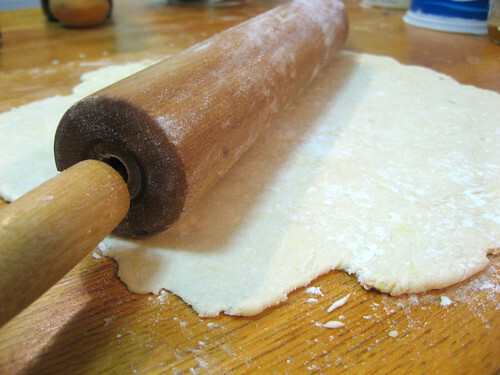 On a floured surfaced, roll dough out about 1/2″ – 3/4″ thick. 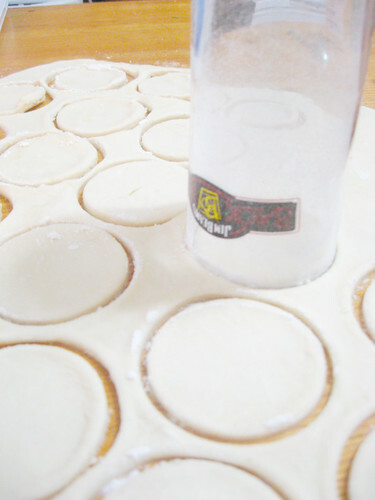 Cut out biscuits, using a circular cookie cutter or juice glass with approx. 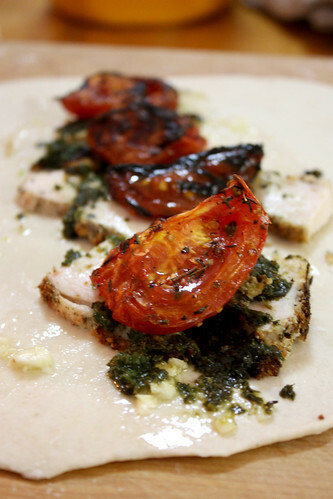 2″ diameter and place on a baking sheet. 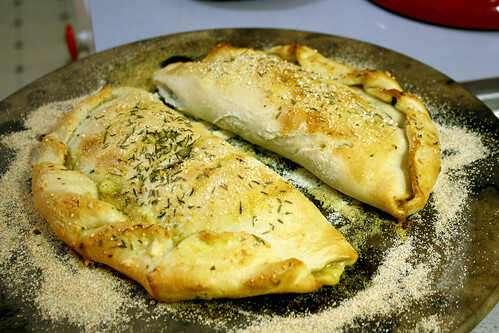 Place in the oven and bake for 10 minutes. 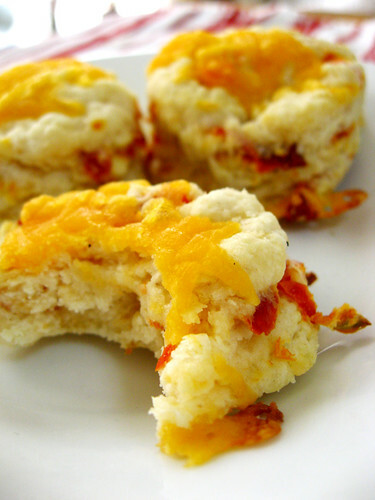 Remove tray from oven and sprinkle biscuits with cheddar cheese. 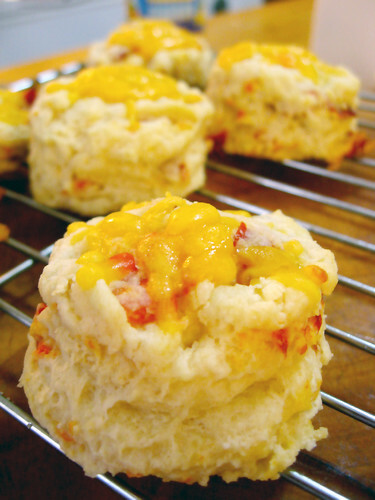 Place back in the oven for 2-5 more minutes until biscuits are golden and cheese is melted. The best way to get everyone to like you is to fill them up with sweet treats. A Sunday brunch seems like the perfect opportunity for bribing people with some sort of delicious breakfast bites except for one thing: I hate getting up early. HATE IT. I also like to go out on Saturday night, so if I am going to make it the day before, it has to be fast and easy. 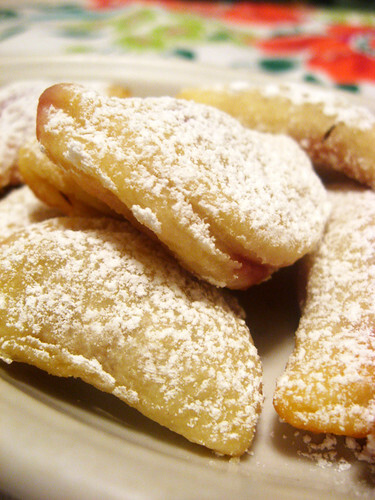 Black currant and cherry pastries with lemon zest sugar topping. 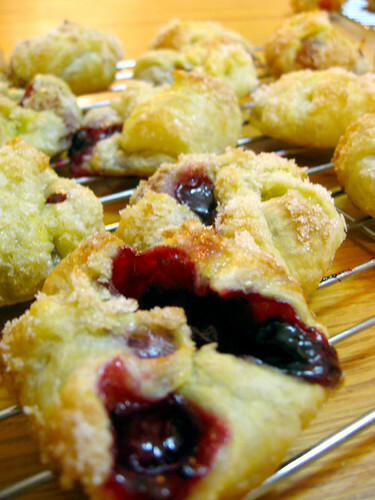 I’ve been obsessed with whipping up these quick danishes by stuffing puff pastry with a berry filling. Pre-made puff pastry is a shortcut we approve of, as making puff pastry from scratch is putzy and time consuming. 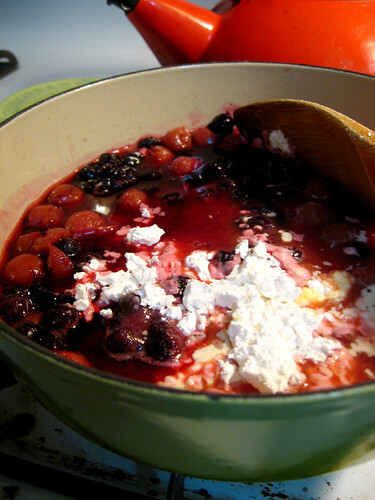 Fresh or frozen berries can be thickened with sugar and cornstarch to create the filling or if you are really pressed for time, you can just open up a can of pre-made pie filling. 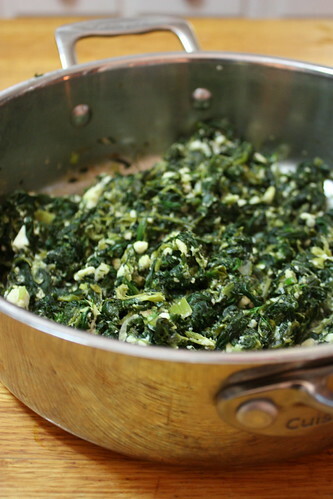 Mix in a sauce pan, bring to a boil and continue to stir until the sauce is nice and thick. 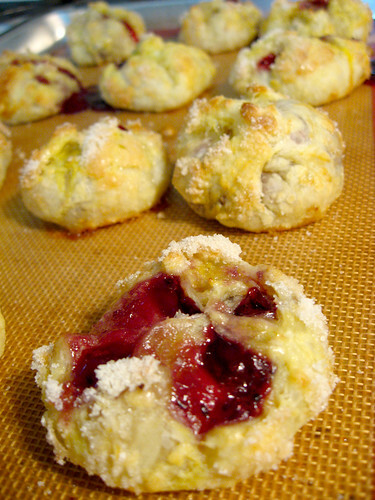 You can add some added flavoring to the filling depending on your fruit. 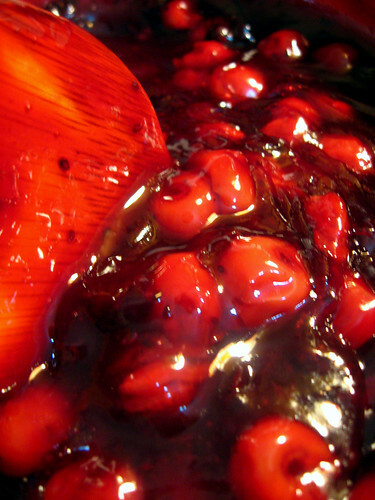 Almond extract goes great with berries. 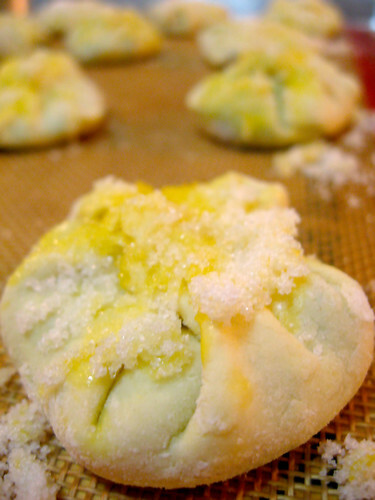 Citrus zest can give be fun, but a little goes a long way. 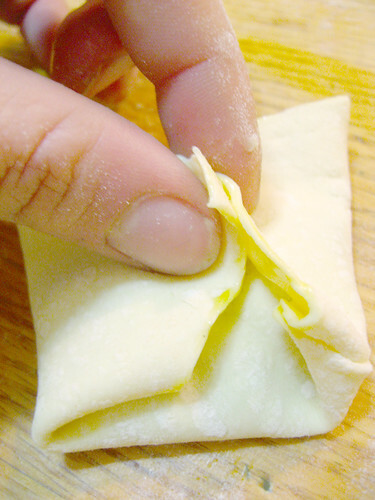 Puff pastry usually comes in a box with two sheets. 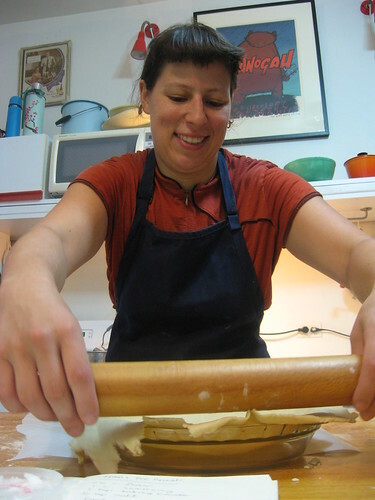 Defrost dough and roll out each sheet into 12″ squares. Cut the squares into quarters and quarter again so you have 16 small squares. 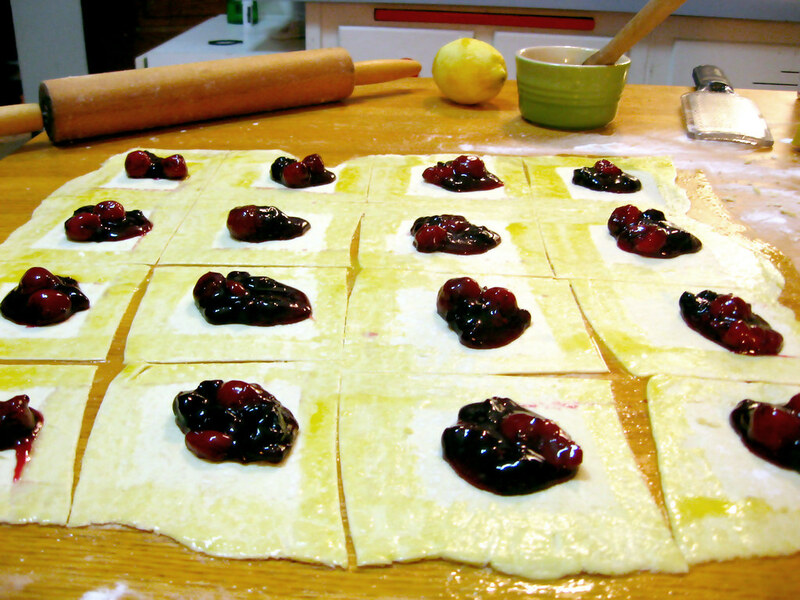 Spoon 1 tsp of fruit filling into the center of each square. 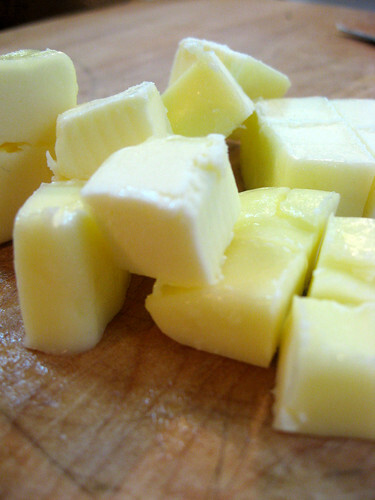 Brush raw egg along all edges of each square. 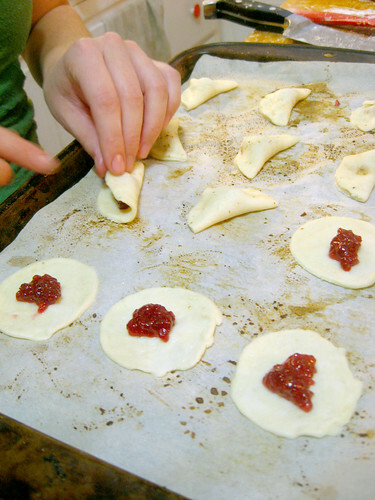 Assemble the small pastries by pinching the corners together at the center. Then pinch together the open corners so there are no places where filling can leak out. 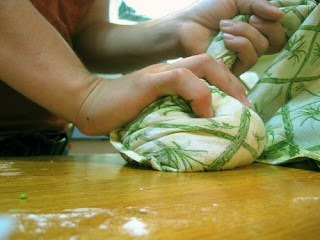 Pinch tightly with fingers to seal, if the dough is giving you trouble you can twist the dough. 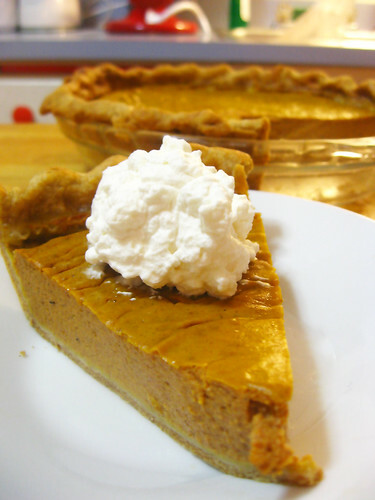 Brush with raw egg and top with sugar. 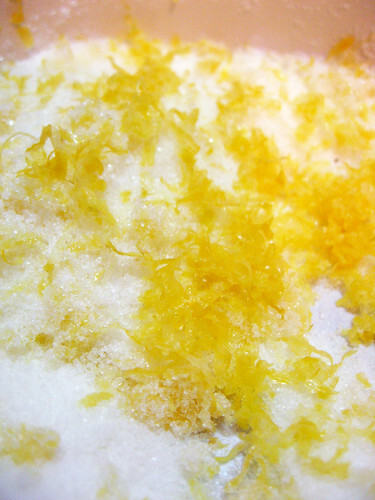 I like to add some fresh lemon or orange zest into the sugar to give some added pep! 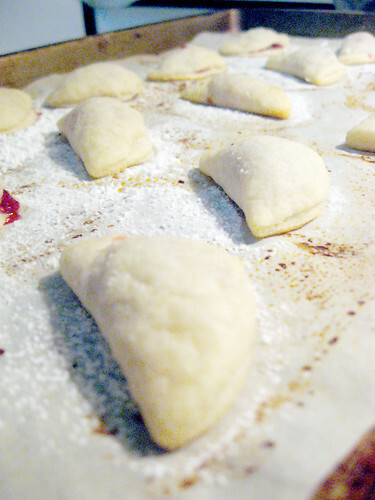 Bake little guys for 15 minutes at 400 degrees. 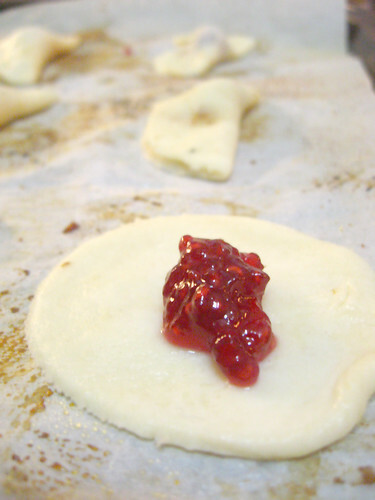 Remove from oven when the dough is nice and golden. Allow to cool completely before placing in air tight containers. 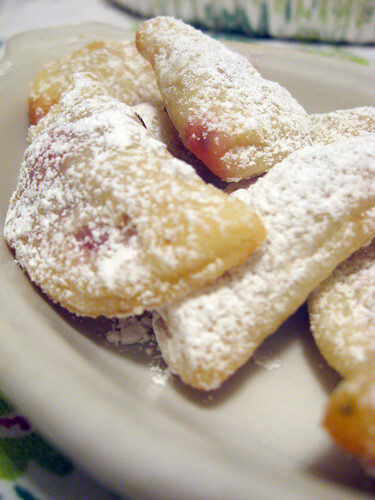 The next morning, these pastries are little light crispy bites of fruity friendship. Everyone will like you and you will be happy. I know when I think bread bowls images of Country Kitchen or other tacky diners come to mind. But all tackiness aside, there is something awesome and comforting about the idea of soup or stew served in a edible carb loaded vehicle. I made bread bowls for our Forkably Hip, of course fancifying it up with the title “pastry dish”. 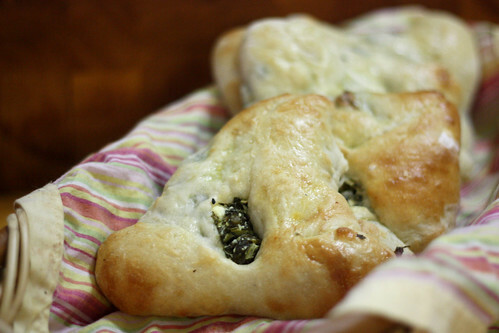 Using my good ol’ standy pizza dough recipe, brushed with garlic and olive oil and sprinkled with a bit a Parmesan cheese, my “pastry bowls were delicious, elegant and definitely enjoyed by all! But how did I make them bowl shapped you ask? 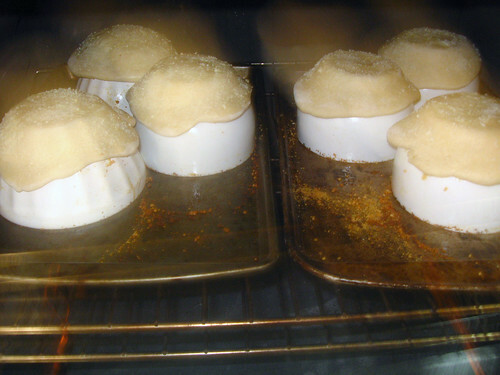 “Pastry bowls” cooking in oven. 400 degrees for 15-20 minutes. 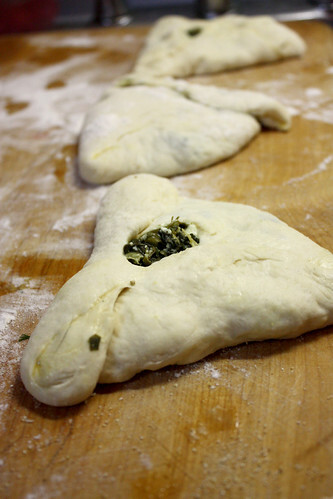 Tip: Bake your dough draped over bowls to mold their shape. 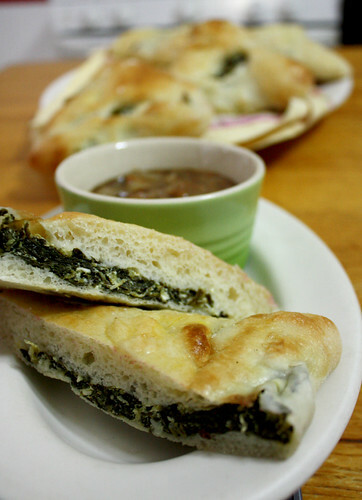 Make sure bowls are adequately sprayed with cooking oil before topping with dough. Simple and fun, these little guys can definitely give an added panache to any soup or stew. Try it out!